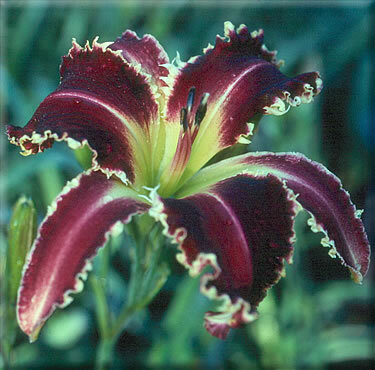 This entry was posted in Daylily Hybridizing, Introductions, People Pictures and tagged daylily, daylily blog, Eight Miles High, Luddy Lambertson. Bookmark the permalink. I remember first seeing Eight Miles High at Moldovan’s gardens. This past year I was using the pollen from a Lambertson daylily “Diamond Star Halo” which is a kid of Eight Miles High. Very nice purple color. I also have gotten to see some other seedlings at other gardens. There was a particularly nice Eight Miles High seedling at Guy Pierce’s, which I will email the pic to you. It is a grand toothy parent.